CHICAGO, October 6, 2016 – The United Center, Chicago Blackhawks, Chicago Bulls and hospitality partner Levy Restaurants today unveiled details of Chicago Pours, a bar experience bringing together signature drinks and expertise from 15 of Chicago’s favorite bars that will be featured throughout the season. The concept, which includes renovated lounges on the United Center’s Lexus Club Level, builds upon last year’s Chicago’s Plate program, which introduced beloved restaurants from around the city into the arena. 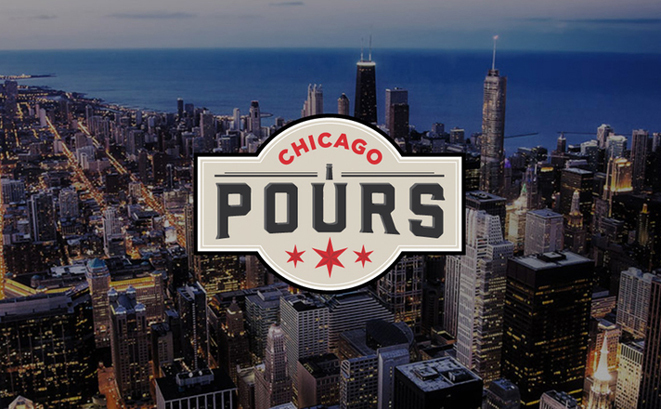 Chicago Pours will join the United Center’s existing beverage experts and unique in-venue bars to form the premier local beverage program at an entertainment venue. The United Center team grew last year with the addition Big Star margaritas, exclusive and rare brews from Goose Island, and a curated beer program from Breakthru Beverage Group’s Master Cicerone David Kahle. The arena also sports one-of-a-kind vantage points at the 300-level overlook bars, Goose Island Pub and Crown Royal Whisky Bar. The success of Chicago’s Plate last season provided the blueprint for bringing Chicago’s favorite food and beverages into the United Center, taking a local food hall approach to foster a deeper connection between fans and the venue. Chicago’s Plate will also expand this year, as part of the United Center’s ongoing transformation. At new concession stands in the 300 level, fans can look forward to favorites from Chicago’s Dish and Legacy Burger, both introduced last year on the main concourse. Chicago icon Gibson’s Bar & Steakhouse and made-to-order pizza stop Woodgrain Neapolitan Pizzeria will join Chicago’s Plate on the main concourse, featuring Gibson’s Angus sliders, shoestring potatoes and Rush St. Manhattans, and Woodgrain’s hand-tossed, oven-fired pizzas. The United Center is the largest arena in North America and has hosted more than 50 million guests since its opening in 1994. Each year, the arena hosts over 200 events. For more information visit chicagopours.unitedcenter.com and follow @ChicagoBulls, @NHLBlackhawks, @UnitedCenter, @LevyRestaurants. Launching in the 2016-17 season, Chicago Pours builds upon the United Center’s strong dining program to bring a groundbreaking craft cocktail program starring top bar talent from 15 of Chicago’s most-talked about bars. Chicago Pours bar partners will take over the Club Level bars throughout the season offering signature cocktails and craft cocktail demonstrations. Launched in 2015, Chicago’s Plate is a central piece of an ongoing renovation plan for the United Center, further establishing the United Center as a destination hub on the Near West Side. Chicago’s Plate features the signature dishes of over 20 of the city’s hottest restaurant concepts including: Big Star, Leghorn Chicken, Connie’s Pizza, Gibson’s Bar & Steakhouse, Amy’s Candy Bar, Publican Quality Meats, Jake Melnick’s Corner Tap, Lillie’s Q, LQ Chicken Shack, Mrs. Levy’s Deli, Sweet Baby Rays and Vienna Beef. Founded in 1978, Levy has pioneered premium sports and entertainment dining and remains one of America’s fastest growing and most critically acclaimed restaurant companies. Named one of the 10 most innovative companies in sports by Fast Company magazine, Levy’s diverse portfolio includes award-winning restaurants, iconic sports and entertainment venues, and convention centers as well as the Grammy Awards, PGA Championship, US Open Tennis Tournament, Kentucky Derby, and NHL, MLB, NBA All-Star Games, and has been named 2015 NHL Retailer of the Year. For more, visit www.levyrestaurants.com or follow us on Facebook, Twitter or Instagram. Chicago icon Gibson’s Bar & Steakhouse and made-to-order pizza stop Woodgrain Neapolitan Pizzeria will join Chicago’s Plate on the main concourse, featuring Gibson’s Angus sliders, shoestring potatoes and Rush St. Manhattans, and Woodgrain’s hand-tossed, oven-fired pizzas.